Barye created many sculptures of Deer over his lifetime. These were early models from the 1830s and 1840s done at the beginning of his career and showed Stags, Does, and Fawns in various poses and groups. 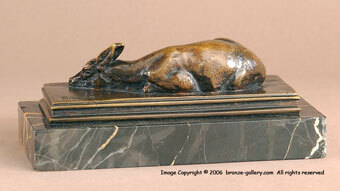 The model of the Sleeping Fawn dates from 1840. This Fawn was also used in the group Family of Deer which includes a Stag and a Doe, and it was used in the group of the Stag Rubbing his Antlers on a Tree done in 1857. 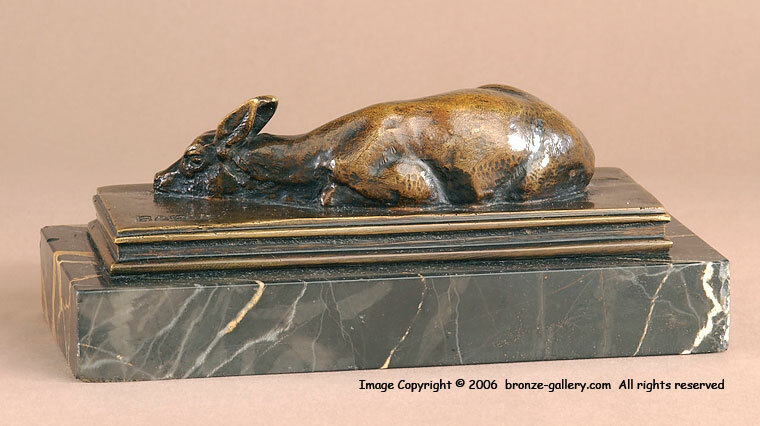 Barye captures the peaceful nature of a young Deer as it sleeps. This popular model was cast for some years, yet it is not easy to find a cast of it for sale. 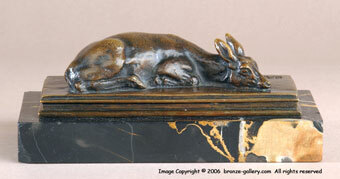 Our bronze is finished in a rich dark brown patina and is mounted on the original black veined marble base.